The Mercedes 190SL enjoyed a massive spike in value not too long ago, thanks to the outrageous climb the iconic 300SL coupe and roadster made in years prior. Values have cooled significantly, but good projects and restored examples continue to fetch a good price. 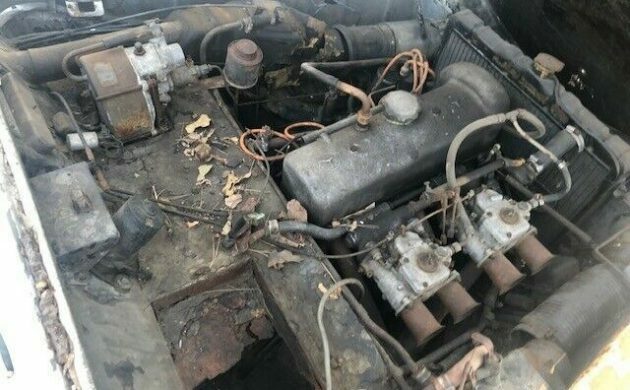 This 1958 model listed here on eBay comes to us with virtually no background information, but the photos seem to depict a car with good bones. This car intrigues me almost instantly, as it appears to have the European-spec headlights as opposed to the standard U.S. units. This could indicate the 190SL is a gray-market car, or an enthusiast swapped them in at one point. 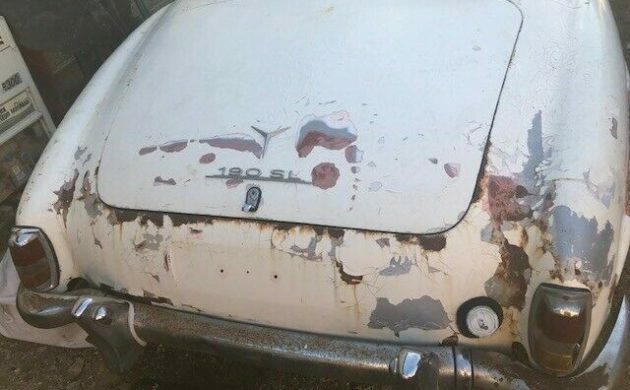 Obviously, with dodgy paintwork and plenty of bondo visible, this 190SL will need the same bodywork as my junkyard-find 190E 2.3-16 Cosworth. 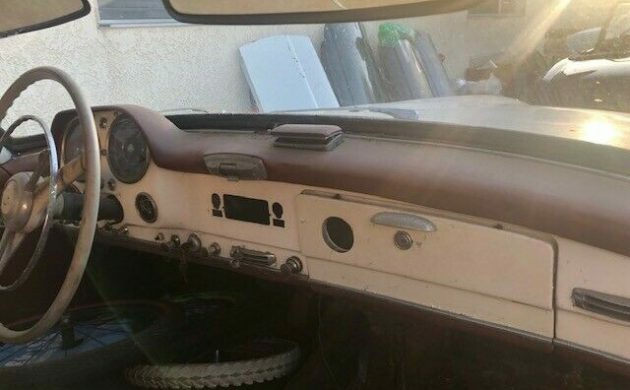 The interior appears quite sound, with no obvious sun damage and no major alterations from stock. I always consider the presence of a complete interior to be a good sign for even long-parked cars, as it would at least indicate indoor storage. I don’t see any cracks in the dash, so prolonged exposure to the sun seems unlikely. Sadly, the original radio and clock appear to be missing. 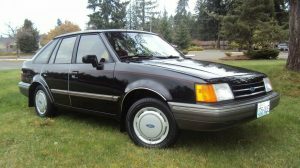 While the M121 SOHC four-cylinder looks relatively undisturbed, the seller would be wise to offer some details on any known mechanical history of the car, or simply whether the engine is still free. 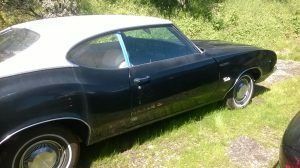 The asking price is $50K with the option to submit a best offer, and with that kind of money being asked for a car whose moment has passed, I’d sure want to know whether I had a potential boat anchor under the hood. 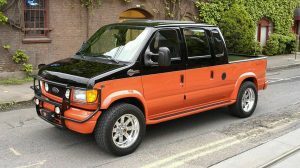 why someone would pay 50 grand for a car that will take 150 to bring back to its former glory amazes me .. you can buy a driver in the 80 range and a trailer queen for 125 all day long.. saw almost a dozen sale in Scottsdale a few weeks ago between 4 auctions I attended and they are way down in value. 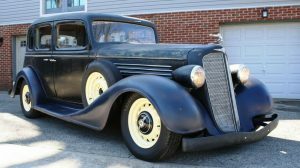 I own one and took a basket case like this to a pristine car and its mind blowing what the restoration cost is of one of these cars.. ps , I own a restoration shop with 25 employees , ran mine through the shop and had to start burning invoices to keep my sanity.. very cool little cars when done though. 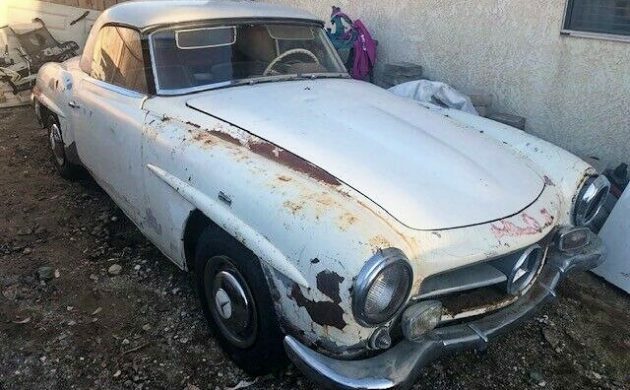 Good luck to the seller if he can pull any where near that ..my prayers to the buyer ..
As a former owner of a 190SL, I love these cars, but I agree with the above poster that this is overpriced. In 1955 my uncle Art bought one. In ‘57 he got another (put the ‘55 in the barn for “parts”). In 1959 got the next. The ‘57 went in the barn/so-on and so fourth. He felt service was a problem and wanted to have parts on-hand. He had done this with a pair of his and here Pontiac Chieftain convertibals previusly. The ad was pulled. I do like the 190 tho. They are definitely being more and more sought after. However, I would have to look for myself, do the math then possibly criticise the price. It does seem high to me, there is a whole bunch to do with the pics provided. Soooooo there is even more to do that can’t be seen. I have always considered the Mercedes market not that good, but these 190’s are definitely the ones to invest in. And that is what you have here, a investment! Be honest, my feelings be damned. Do I lack vision, imagination, foresight? I’m looking at it and I was thinking about how far gone it is and how in the world was it allowed to wither away. The only forgivable explanation is that there was a home invasion and the unthinkable happened. No survivors and no kin to notify. Ok, I got dark for a second, sorry…. the interior being described as “no obvious sun damage ” makes me think that my phone is having a display malfunction.